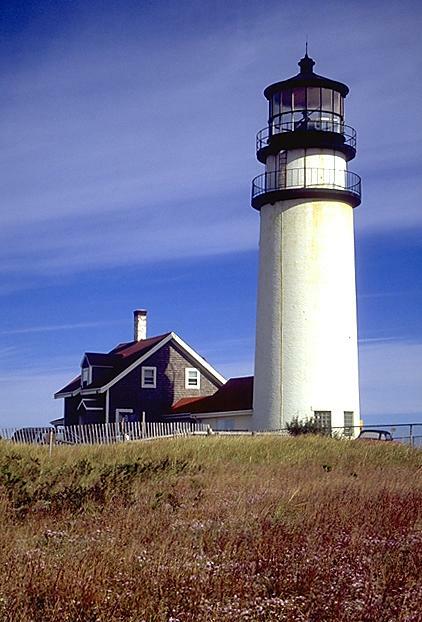 Highland Light, also commonly called Cape Cod Light, was first lit in 1797. 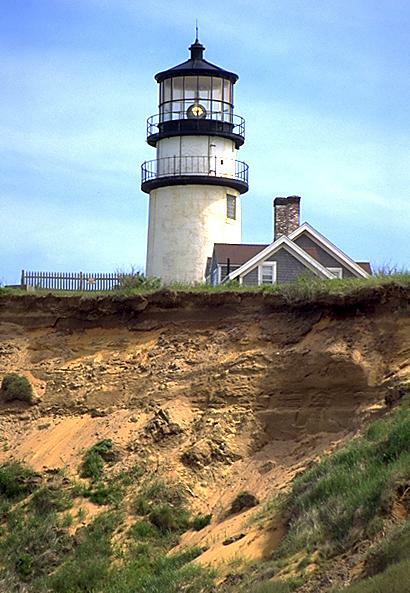 It was calculated that the light would stand for 45 years, and in his book, Cape Cod, Thoreau fretted that the light would soon fall, due to the relentless erosion of the approaching sea. 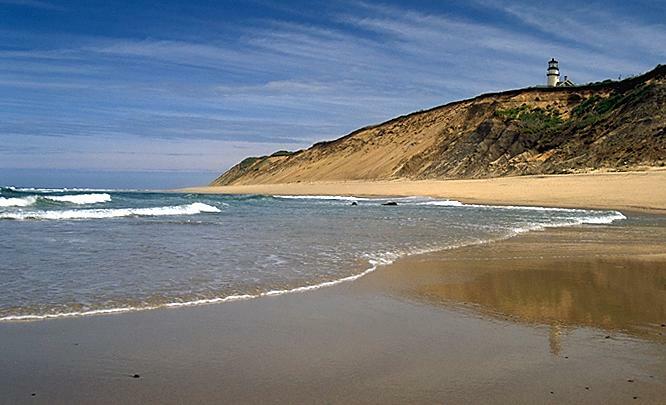 However, the same light stands today, still threatened by erosion. 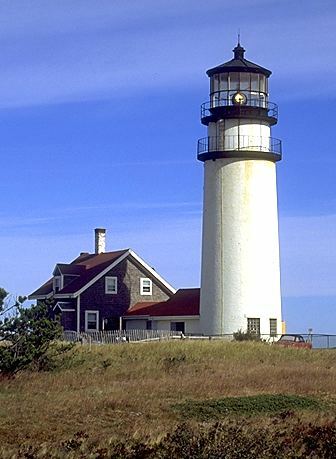 Originally fitted with 15 reflector lamps, a first order fresnel lens was installed in 1857. The lens stood 12 feet high, had a diameter of 9 feet, weighed 2000 pounds, and floated on a bed of mercury. One oil lamp burning inside this huge crystal could reach the horizon, 25 miles away. In 1797 Highland Light stood 510 feet from the edge of the Truro Bluffs. One hundred years later, that distance had shrunk to about 300 feet, and today, Cape Cod Light is less than 125 feet from destruction. Over 40 feet were lost to one winter storm in 1990. The severity of the cliff erosion has forced a plan to move the lighthouse. The light was successfully moved during the summer of 1996.